Unexpectedly soft to the touch, yo. 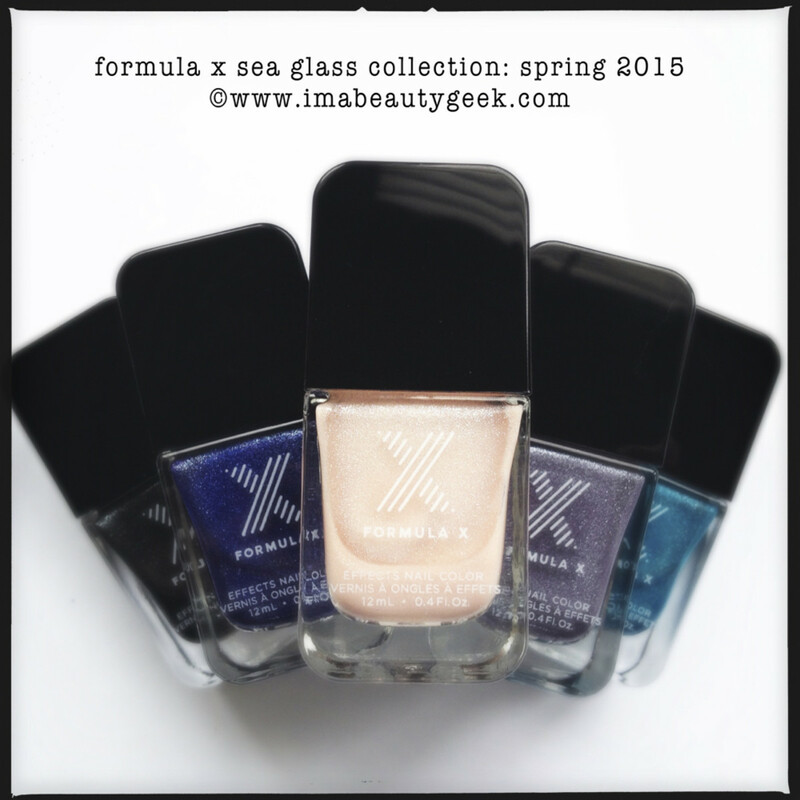 The Formula X Sea Glass Collection is sorta, well… great. I’m pretty sure that right now, Formula X is winning at matte. 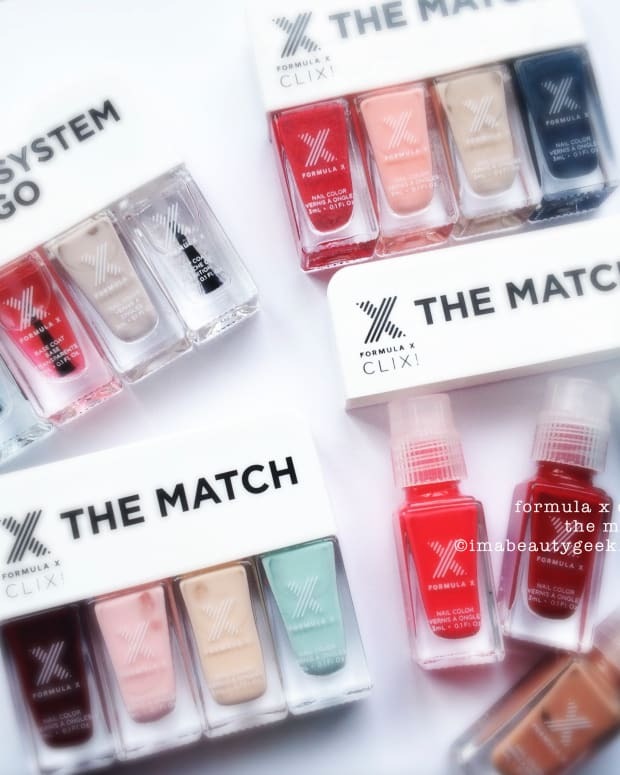 They killed it with the Fall/Winter 2014 Brushed Metallics and while I’m still crushing on those (Prophecy and Valor, I’m talking to you), Formula X has upped their game again and given me this new Spring 2015 collection of 5 subtly glittery matte shades. What’s different about this stuff vs the Brushed Metallics? Bigger visible shimmeryness and a slight texture. They’re not quite satin matte, but they&apos;re definitely matte and definitely satin. And definitely textured, but not as much as say Pixie Dust or Liquid Sand. It’s kinda like Liquid Sand after you’ve worn it for a couple days – know what I mean? We should look! Let’s look! I’m excited for you to seeeeeee! This be Starfish and she’s very pretty. Sparkly and lovely in three coats. The stuff dries pretty quickly on account of the matte-ness so three coats isn’t such a big deal. Yes, visible nail lines but I’m okay with it - the sparkle makes the VNL okay. Oooh! Formula X Marine is lookin’ pretty swell too, huh? I wish you could touch it. It’s smooth but not but perfectly smooth. It actually feels soft. I can’t even explain it so you’ll have to go get one and slap it on to see what I’m on about. I really like the way it feels and applies. It’s flat but it’s not flat. It doesn’t glow like the Brushed Metallics but it glitters. It’s kind of an amazing feat of engineering if you ask me. I know you’re wondering what happens with top coat and now you know. That’s two coats of QDTC (yeah, that means quick dry top coat) and it’s still a little textured but mostly smooth. Is it as smooth as glass with two coats? Nope, but I’m much too lazy to do three coats so there you are. It’s lovely though. Lovely and sparkly and bright teal. It’s rather grey here in Toronto lately and the lack of sunshine makes this lilac-grey Whirlpool beauty into something subtle. I’m hoping you can see how flat and matte and mostly smooth it is from the photos but without eyes-on the stuff, I know it’s gotta be tricky. Aw yeah! You can totally see what I see there, right? Hard to believe that’s the same polish as the first picture of this polish, right? It&apos;s a pretty fine scattered holo, but it&apos;s there. You&apos;re gonna need top coat + sunlight to make it pop. 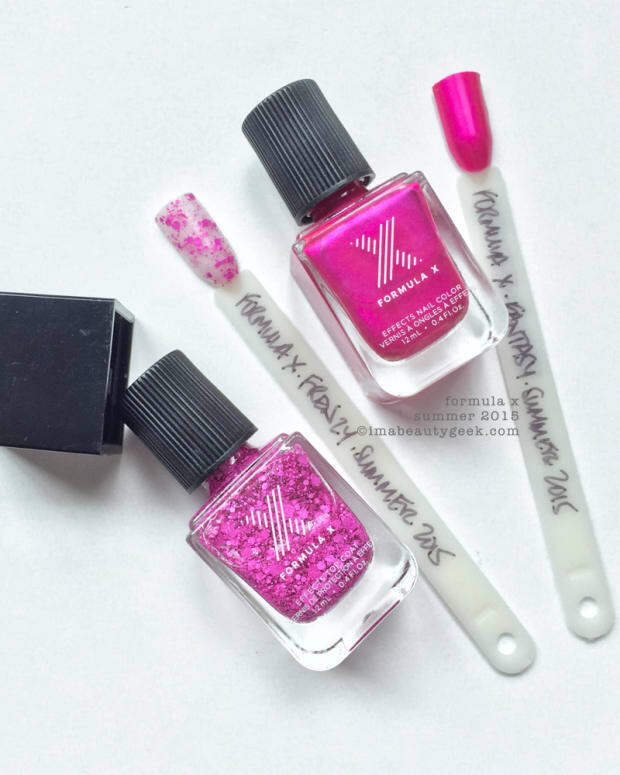 Formula X Deep End is lovely but somewhat uninspiring. This kind of shade I’ve definitely seen before and while the finish is satin-texture and glittery, there’s not enough lift in it to make it something I’d wear. Also, that whole Lobster Hand Crustacean Mode happens with me ‘n blackened charcoals so I don’t wear this kind of dark often. It&apos;s still stunning though. Here’s a second shot which may or may not help see how brushed matte the finish really is. Lastly, Formula X Tide, from the Sea Glass Collection. Index and middle fingers look so textured to me in this photo but once you get your eye on the ring finger, you can totally see the matteness and smoothness of these Sea Glass polishes (I hope). They’re actually mostly smooth to touch. The texture is awesomely fine. And if you’re patient enough to do three glopping coats of top coat, you can get this effect which I guess you can call a sammich or you can call a galaxy or a jelly or you can simply call it cool. This stuff eats top coat big time so I’d rather skip the top and roll with the satin-matte finish. However you choose to sport your new Sea Glass collection, I’m pretty sure people are gonna stop you and grab your hands and ask you what you’re wearing. I know if I saw you on the subway, I’d stop you and ask. Do I have a collection favourite? Yep. Marine. Two quick coats of Marine and I’m a happy, happy geek. Oh! Yes, everything except Starfish was two very quick coats – it dries quickly and you need to be sure to load your brush pretty well for the second coat to get it all on there nicely. Watch your sidewalls with the loaded brush and cap the free edges to get maximum wear, k? Then you can top coat or not – that’s up to you! I say play and if you don’t like it, take it off ‘n play some more! That’s it, friends. 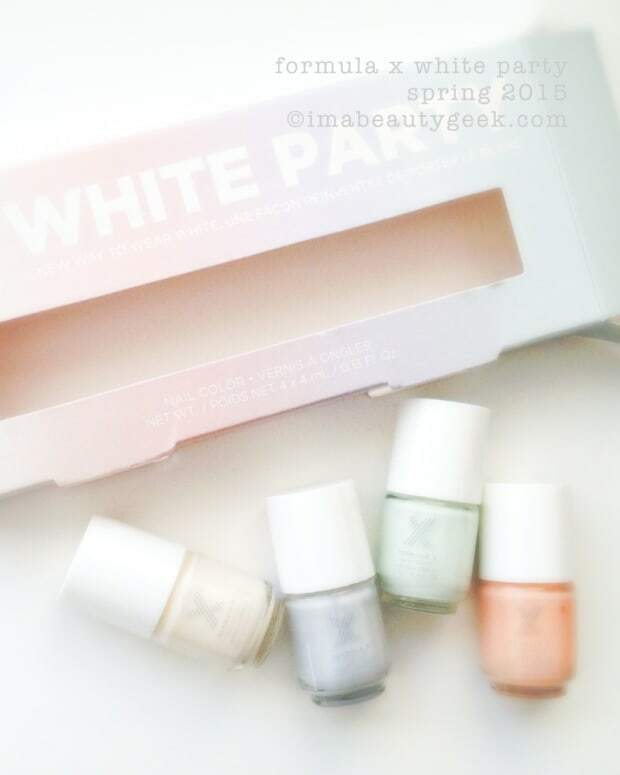 All five shades from the Formula X Sea Glass Spring 2015 Collection. You gonna? I might also mention that my press release says it’ll all be available as of January 2015 but you know what? It’s available right now on sephora.com. I checked for you! Formula X Sea Glass is $15 each at sephora.ca and $12.50 each at sephora.com.